When it comes to after school activities many parents are overwhelmed with the enormous selection they have. Beside arts or music, there are of course sports and, especially, martial arts. Modern martial arts sometimes lack a clear foundation of value. On the other hand, traditional martial arts which are using traditional and modern methods of training working on the connection of body, mind and spirit. If your child is hyperactive, martial arts can be a good way to get him or her tired and more relaxed. In Kung Fu children learn to earn and show respect, to the instructor, to their classmates and to themselves. The moment a child comes into a school or training hall, she or he bows. 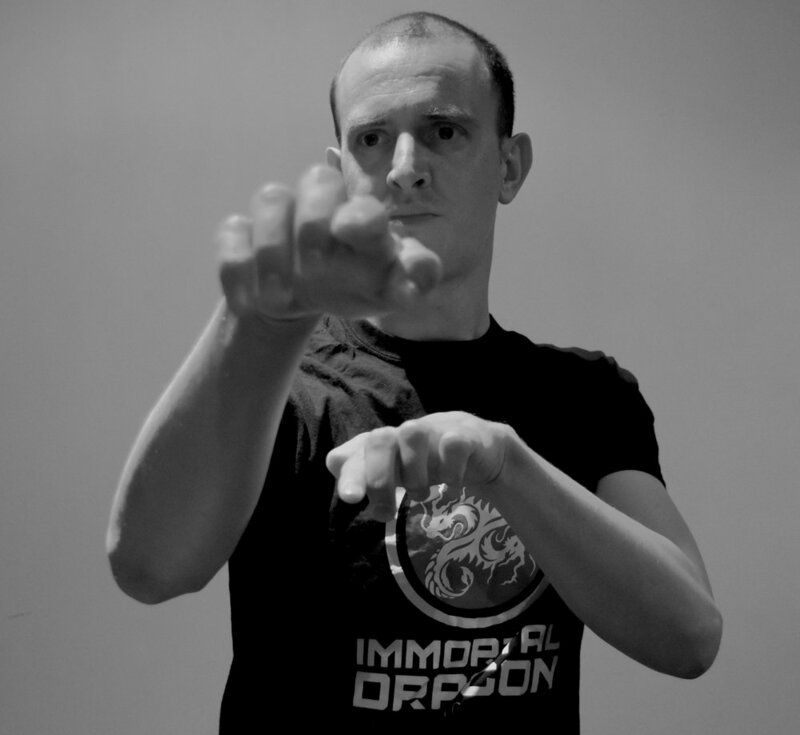 At Immortal Dragon, every class starts with a bow to all the masters of our lineage and to the instructor. In classes, there will be always lessons about how to act respectful with each other. At the end, respect is one of the main and basic elements of traditional martial arts such as Kung Fu. Another aspect of the respect is them to learn to listen carefully to their instructor or Sifu before doing an exercise; a point where kids sometimes have problems with. Training martial arts is not easy. Kung Fu can help your child to develop and improve her or his ability to concentrate on a task and see it through to its conclusion. All the discipline children learn during class regarding exercises, behaviour and manners will reflect on other areas of life. Learning Shaolin Kung Fu teaches your children also how to defend themselves. To learn how to defend yourself can be an empowering feeling for your child and makes her or him stronger for the obstacles in life. At the same time, students at Immortal Dragon learn to have a constant awareness of their surroundings, something which definitely helps to identify dangerous situations. At Immortal Dragon Vancouver, we are also focussed on teaching team-work and its importance. For that reason, we have exercises where your children work together to achieve something. We combine that with what I call healthy competition, where kids get pushed to give all they can, but at the same time cheer their classmates to win. That is something, Shaolin Kung Fu can achieve easily since the individual progress cannot be compared to others. Although the cheering can help, to achieve more. Obviously, children stay fit doing martial arts. Our warmups consist in jumping jacks, push-ups, sit-ups, stretching and much more. The exercises done in Kung Fu are challenging and developing muscles and tendons and push the cardiovascular system. Our Kung Fu system helps your children to develop strength, flexibility, speed, condition and much more. Above all, Kung Fu can be the foundation of a healthy lifestyle for your children, rather focused on sport and fitness then on playing videogames. The more a kid trains Kung Fu, the more confident she or he gets. It is something we can observe over a period of time and I am always happy to watch that process. It is also very awarding for the children to learn a new technique or getting a new belt. They can earn the confidence that they worked hard to achieve something –that is the basic meaning of the Kung Fu. Not just the kicks, punches and forms get your kid focused, but we also implement small meditation exercises which help to develop a wider range of concentration. Besides the kids will be away from any device for at least the time of the class. We find that, the longer they are with us, the less they use devices and play more. Also, Kung Fu generally sees its forms as a moving meditation. Our school incorporates compassion as one of the basic values we are standing for. This said, we have the concept of compassion to all living beings in our mission. Compassion here means having respect for others, especially elder people or people in need. It also means to be aware of your surroundings and help others, when possible. This list can be way longer. You see, Kung Fu at Immortal Dragon can help your children in their development and personal growth. Besides its martial components it actually helps to control emotions, gives a vehicle to let out stress or anger in a healthy way and can give them a fun time playing with their friends. We combine our kids’ classes with basic Kung Fu exercises and games, taking in count the attention level they have, but also improving them. During the kids’ classes, you will see a lot of smiles, hear laughs and cheering, because at the end children learn the most and the best, when they have a good time. The Five Animals of the "Five Animals style"
The Shaolin style we teach at Immortal Dragon Vancouver is Ng Ying Kuen, also known as the “Five animals style” and Ng Ga Kuen, the "Five Family Fist style". To understand the first part in this blog I will show you the different basic animals and their meaning. The traditional animals which are included in Ng Ying Kuen are the Dragon, the Tiger, the Leopard, the Snake, and the Crane. All but the dragon are actually animals, the former is a spiritual animal. This five animals are related to the Southern Shaolin Kung Fu and are associated with the Guangdong and Fujian provinces in China. The legend wills that Shaolin monk Jueyuan created, based on the basic 18 Lohan Hands, 72 movements. With the help of Li Sou, the master of the "Red Fist" and Bai Yufeng, a master of an internal martial art he expanded the 72 techniques to over 170 and restored internal methods to the Shaolin fighting. To organize it they used the Five Animals. The Five Animals are also known as the Five Elements and are used as a foundation for Chi Control. Black Belt Magazine has a short overview of the qualities of each animal. The tiger is representing, the wood element and focuses on grasping and stretching. In Kung Fu it refers to the strength of the bones. It also incorporates another important part, which is balance. The tiger incorporates solid, tense power. The tiger is simple and direct, but also sudden and absolute with the power it exercises. The idea behind the tiger technique is to be final and done with strength and power. It is very aggressive, offensive and least subtle to watch, but effective and efficient. It encourages block and attacks executed in one movement. To be able to use it there is a need of strong finger, a low stance with strong postures and mighty legs can finish its opponent quick. As you can see the tiger style is a clear Yang- based technique. 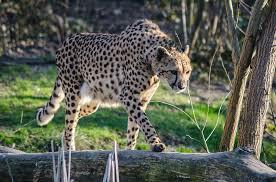 The Leopard and its style focuses on fast, short range attacks and techniques. To fully practice the leopard, you need a mix of balance, speed, flexibility and agility. You can see explosive bursts of strength and speed. The repertoire of leopard includes low kicks, forearm and elbow strikes, and the famous leopard fist. The bao chi (leopard fist) favors strikes on soft parts of the body, but also parts which are soft as the face (especially the teeth), throat, ribs or solar plexus. In the “Five animals style” we also practice a leopard block which first strikes joints and then can be quickly used for locks. The crane is a more complex style focused on strengthen the sinews and to promote vitality. It stresses balance and fast foot movements. The female martial arts Fang Quiniang is, according to the legend, being the first recorded person to develop and promote the Crane style, she learned when she observed the abundant cranes which exists in her region. It is a softer, a Yin, technique which uses circular movements to block attacks. In our style, we have to different fists which are traceable to the crane. One is the beak, which is a hook shaped hand where you attacked with the bundle of fingertips. The other one is the open, plane hand with which you can attack with the palm or the edge. The crane applicant has after every block an attack waiting, and tries to apply its force on one single point. The main stance for the crane is a medium height cat stance and will always use the power of the opponent to block. As the tiger is more for tall people, the crane is used for the opposite: smaller, not so strong people. This style is good to be used against the tiger and enforces more a smart, strategy style of fighting. So, it can be used to avoid the harsh use of force and requires developing speed, accuracy and agility to achieve a good timing, balance and coordination. As said before the crane is not to strike first, but to block and counterattack. The snake is one of the styles which helps you to cultivate your chi, it can correct the breathing and strength the internal power. Thanks to the snake fist, with its finger as the main point of striking, it is a good technique used on vulnerable areas like eyes, throat or groin. Its attacks are so powerful that the snake applicant is mostly peaceful and avoid fights. The snake has no legs and uses slyness and softness rather than the hard raw power the tiger executes. It is believed that the snake is an animal which has a great amount of Chi-Energy. Its technique is soft until striking hard. Speed is important to dominate this style but more important is smoothness and flow. The snake also emphasizes counterattacks, a steady flowing movement and low stances. The dragon is a very important animal in Kung Fu and the Chinese mythology. Training the dragon cultivates your spirit, flexibility, and graceful movements. It is associated with energy and courage. Immortal Dragon is named after the Dragon for a good reason. It represents the training and spirit we are based on. The dragon moves circular and follows the movements of its opponents, looking for their weaknesses and how to instantly counterattack with power. Power is generated through movements which are generated from the whole body, especially from the waist. The dragon is moving around all the time finding ways to attack from all possible angles. It represents the water element, and you cannot apply direct force to this element, since it just moves out of your way. The dragon includes locks, throws, strikes and kicks, getting in an out attacking. It helps to get more power in all parts of the body and opens your joints. The dragon fists can be an open hand strike but also the hand forming a fist. Finally it is to say, that Shaolin Kung Fu possess more animal forms as Praying Mantis or Monkey Kung Fu. This are also powerful techniques, but are playing a less important role in the "Five Animals style" we practice at Immortal Dragon Vancouver. It is more and more common for athletes and generally people to follow a vegetarian diet. Some might ask if it this a good idea to do. But if you, according to your beliefs or health, want to go this path then there are plenty of good examples of that. As many people know, Kung Fu, came out of the Shaolin temple. Since it is a Buddhist temple the monks there were restricted to a Vegetarian diet. So how is it possible that they were and are practicing Kung Fu at least eight hours a day without eating meat? Well their diet was simple and peaceful and this was done not just because of health reasons but also as a spiritual source. In the temple they mostly eat rice, vegetables and fruits. Most of the vegetables were prepared simple, that means either raw or steamed. As protein sources, they used mainly soybeans and soy products, like tofu or seitan and of course nuts. In their monastic life, members of the Shaolin sect, have been eating a diet similar to Chinese food with one main ingredient: rice, boiled, steamed or as rice flour for noodles and so on. It is everywhere in Chinese cuisine. The most typical Chinese vegetables are: bok choy, sprouts, taro and a variety of beans. They were generally steamed or boiled, sometimes raw. Fruits, like bananas, apples or figs are also common and were eaten raw or dried for long-term storage. It is obvious that Shaolin monks decided to leave the commodity of a normal life for a stricter and simpler life which includes the diet. In their monastic vows, they agree to protect every being from being harmed or of suffering. It might be a surprise but not all streams of Buddhism prohibit the consumption of animal meat. In the Theravada school monks are allowed to eat pork, chicken and fish. This comes with the restriction, that the monk or nun has to be aware that the animal wasn’t killed on their behalf. The Mahayana schools, which are mostly practiced in China and Japan, are stricter about the consumption of meat and think that every scenting being once was your mother, sister, father or brother which prohibits to eat them. In the last school, the Vajrayana, which is mainly practiced in Tibet, it is a bit more complicated. So, it might be strange but the actual 14th Dalai Lama isn’t a vegetarian. Since Tibet doesn’t provide with much vegetables, the Tibetan Buddhism was always a bit more flexible when it came to the diet. They don’t just allow to eat food but also to drink alcohol. However, a lot of leading monks, including the Dalai Lama, are encouraging vegetarianism. To get more information about that, check out the page of the Buddhist organization Shakbar who is dedicated to vegetarianism as a Buddhist way of life. Since I am not a nutritionist I won’t tell you how to design your diet. But the first step to eat right is to inform yourself, to get all the vitamins and minerals you need. To do so you can get a million books or search your way through the internet. Pages like nomeatathletes or vegkitchen can definitely help a bit. I got the book “The Vegetarian Athlete’s Cookbook” and feel much better ever since getting through its recipes. All I can say is, that you should have an eye on your level of vitamins (especially B12 and D), calcium, protein, omega-3, carbo-hydrates, fat and iron. But just looking at the list you can imagine that this is not an easy task. 2017 is and was a great year. But 2018 is going to be crazy good! At Immortal Dragon we will have a lot more classes to offer and that is pretty exciting. So to give you a first heads up here a list of all the new classes we will have next year. These are classes for the smallest ones. This will be a fun class with a lot of kung fu, but also a lot of playing. It's a good base for kids growing up. Classes for teens from 12 to 18. Your children will learn so much, not just kung fu, in this class, so bring them! Here is where the real work will happen. We have 1.5 hours so a lot of time to train! Exercise and train martial arts! This classes are focussed improving your fighting skills. A class free to everyone! Come by to get an idea about our Shaolin Kung Fu classes. Want to learn how to do fighting choreography? Well this is your class! Regular Kung Fu class. This is where you want to be! A class to calm down and work on your Internal martial arts. There are many myths about the Shaolin temple and its martial arts. Movies, TV shows and media has done its part to mix up truth, legends and stories. There is a big myth about Shaolin, its temple and its martial arts. Shaolin Kung Fu is a very wide system with endless subcategories. According to the legend Martial arts were brought from India in the person of Buddhist monk Bodhidharma (in Chinese known as Do MA) around 525 AD or during the Liang dynasty. When Bodhidharma came from India to China Buddhism was already spreading and there were monasteries popping up. One of them was the Shaolin monastery, named after Shaoshi mountain, a forest and peak of Song mountains. According to legends which were published for the first time in the 17th century, Bodhidharma came to the monastery and found the monks not strong enough to meditate sufficient. He taught them the 18 Lohan or “18 hands exercises” which are thought to be the first official martial arts system. These exercises were meant to improve their health and strength and can been seen as a type of Qigong. Furthermore, he is the first Patriarch of Chan Buddhism. As historians have lined out that in China during the time of Bodhidharma, there existed already a healing and a martial arts system and a lot of the weapons which were included in the Shaolin style can be traced back to farmers. The Siu Lum aka Shaolin Order had more than monastery as it is thought. The most famous one is located in Henan province. That one is well known in TV and the movies at least since the 1970s through the ABC-show “Kung Fu”. After its destruction in the 1920s as a late result of the Boxer Rebellion, it was rebuilt from the Chinese government, not until the 1980s or 1990s. Even though most of the monks left the temple during the Cultural Revolution. The Henan temple, near Luoyang, was built in 477 AD and was most of the time the seat of the senior monks. Although this temple nowadays is the most popular and recognized Shaolin temple, there are more Shaolin temples which turned up during the history. One other important temple was located in Fukien and was probably built around the same time as the Henan temple. The remains of the temple were discovered in the 1980s and burned down during the Boxer Rebellion. It seems like this temple was a more mainstream Buddhist monastery until the 1600s but was integrated into the Siu Lum order around 1650. This temple is important because of two things. First at all, it was way bigger then the Henan monastery and served as a headquarter when the main temple was under threat. Secondly, a lot famous and important styles, known today, were developed in the temple or by some of the masters who came out of it. Known Southern styles like praying mantis, snake, dragon, and Wing Chun are a product of this temple. Another temple of the Southern style is Kwangtung where many great warriors were taught. The “snake temple” was built in the late 1700s near the city of Canton in Canton province. It was built in a mountain next to the ocean but shelled. From here styles like Choy Li Fut and ragon styles were developed. Another still active and famous monasteries was and is the Wutang or Tiger monastery which is located near the city of Wutang. Since it was built in a very unstable area this monastery was constantly under attack. It was built near Manchuria and the Korean peninsula. Several armies came in and out and destroyed the temple. A lot of mercenary monks, like Bok Lei or Bok Mei, came from that temple. The temple was incorporated into Shaolin around AD 800. The last important temple was the O Mei Shan, the Northern Monastery which served as library and medial institution. It was located in the Szechuan province and worked like a research institution. This old monastery, probably a Taoist temple, was integrated into the Shaolin order around AD 1500. The crane temple was very close to Tibet in an inaccessible area and was a major medical school. Today it serves as a headquarter for the conservation of the bamboo forests and as a research center for pandas. At the time of writing this article the Shaolin order has around eight temples. The Siu Lum or Shaolin monastery had a class structure which was divided in three major levels. We can identify masters, disciples and students. The biggest quantity occupied the student class who also did all the labour around the monastery such as preparing the meals, cleaning and washing, cultivating plants. The basic tasks were established to make the monastery working but also to teach the students humility and respect. It gave the masters also a momentum to observe the students to decide who will be a good disciple and has the ability to learn martial arts. The disciples showed that they were worthy to learn martial arts skills. Since the had received their basic philosophical and ethical training as students, as disciples they spent at least two and up to four years to study exclusively what we can call the Shaolin arts (martial arts, medicine and healing). As disciples, they had to live the philosophy and ethics they were taught as students and pose as example to others. Masters were full monks and received this title after completing the study of a whole system, which they perfected. Besides masters had understood enough of the philosophy of the temple to teach it to students. Who wants to find out about the old (modern) masters of Shaolin and who they were can find a good overview on the page of the Shaolin Xinyiba school in China. The history of the Shaolin order is very much about who and when tried successful or not to conquer or destroy the temple. China had a troubled history of empires and dynasties and the Shaolin temple played its role in it. The detailed history and how the different styles grew will be the topic of other blogs. The last big destruction the main Shaolin temple in Henan had to get through was in 1928, when warlord Shi Yousan burned down 90 % of the temple. Then the communist party under the leadership of Mao Tze Tung took over. At the beginning, they didn’t care too much since the temple was already decimated. During the Cultural Revolution, the Communist party wanted to get rid of all traditional and religious overweight. For this reason, they beaten up, imprisoned, killed or humiliated publicly monks from Shaolin. A few fled into the surrounding mountains or to other countries where they opened their schools. After the success of films like “The Shaolin Temple” in 1982 and the taking over of power through Deng Xiaoping, Shaolin temple was slowly but steadily rebuilt and some old monks were invited to come back. Even though a lot of knowledge is lost. Today China is supporting to establish a modern sport approach to Chinese martial arts called “Wushu”, within that they established competition forms with open hand or weapon, but also Taiji forms. Another new form of promoting China is the modern Sanshou or Sanda which is a mix of Muay Thai, Kickboxing and Judo, and wants to help China to get into the Olympic Games. Since the raising of popularity of kung fu many martial arts schools have opened around the Shaolin temple and in China to make business out of it. Today the temple is a huge commercial empire which attracts millions of tourists every year to visit the temple and thousands of young people to get there to study “Wushu”. It is a huge controversy in the kung fu- martial arts world if the modern wushu has something to do with traditional kung fu or not. On one side the temple could gain a bit more freedom and independence from the Central government and do a lot to promote Chan Buddhism in and outside of China but at the same time the abbot Shi Yongxin (also called “Shaolin CEO”) is member of the Communist party and allows and allowed all kind of business with the temple, even a reality show. Most of the modern forms and representations are focussed on exhibition and lost the element of application. Also, it is often forgotten that a lot of styles were practiced within families and given from father to his children or wealthy families paid monks or other martial artists to teach their children. This was the case of GM Ark Yuey Wong and many other great masters. Many don't know where the term "kung fu" comes from. In this short blog I want to explain a bit more about it and deconstruct the confusion about all the definitions of Chinese martial arts. It is important to know where terms and concepts come from. Also should you know what you are practicing when you do a martial art and where it comes from. Everybody know that kung fu is referred to a martial arts which was developed in China. Either way the term came up during the 20th century. Before that kung fu or gongfu meant and still means to achieve knowledge or a skill through hard work and practice. If you want to talk about martial arts in Chinese you would refer to “wushu” and a lot of modern Chinese martial arts is called wushu nowadays. Another term you can find is “chuan fa” meaning fist fighting. According to Sifu Douglas Wong the term Gong Fu was first used by Chinese who migrated to the US and North America in the 19th century. Kung fu compounds two words: kung (gong) which means work or achievement and fu meaning simply man or, in a more complex understanding, practice. So it could be translated as “achievement of man”. So since it is not really meaning martial arts it is referred to strength of body and mind. It’s the self-mastery of something on a high level. One important ingredient in this concept is a basic rule for a lot of martial arts: patience. Since mastering something, could be a move, a weapon or a form, needs repetition and consistency. So it is more important to learn one thing good then many just average. Kung fu has been practiced for over 4.000 years in China. This might happened under another name or term but doesn't underestimate the power of it. We also have to think about the arriving of oriental martial arts in the West and how they transformed there. In fact, a lot of grandmasters had to leave China and the East during the cultural revolution and brought there wisdom and knowledge to Hongkong, North America or Europe and found new places to teach their art. It is obvious that the style of teaching had to change too. So in modern days we actually can discuss which martial arts is more traditional: the one taught from old grandmasters without an interruption of lineage in the west or the ones nowadays taught in China with new masters who's lineage is interrupted or broken and are teaching now "wushu". As always the "truth" is to find somewhere in between and each one who wants take the path of studying martial arts and especially kung fu has to find his or her own way of doing so. That said you should follow your heart and study with a master who you feel capable of guiding you in your progress and your skills. Since Kung Fu comes, according to legends and historians, from Shaolin (temple) it is an important next to enter the world of Shaolin. In the next weeks we will deepen the meaning and history of Shaolin and the Shaolin temple. Every Chinese New Year we can watch the parades and a lot of us spot groups around some lions dancing from one to another business, going in and out. Often, they also perform kung fu forms outside the same locations. Some might have been asked: Why are they doing this? And why is it that kung fu schools perform that kind of ritual every year? In Chinese culture, we can also find dragon dance. But that will be the topic for another article. The lion dance is easily to catch, when you see two people performing, one at the head and another at the tail of a lion, that’s lion dance. Historically it has been an old tradition in China for dancers to be performing with animal or mythical beast masks. In existing texts, back from the Qin (221 to 206 BC) and Han (206 BC–220 AD) dynasty we can find records about dancers performing a sort of exorcism rituals wearing not just bearskin masks, but also performing as fish, dragons or phoenixes. During the Tang dynasty (618–907) lion dance was already a common ritual and it is believed that the dance moved from a local tradition to a ritual which included Buddhist symbolism. At this time you could already distinguish between oficial lion dance at the court, which was also called the “Lion Dance of the Five Directions” or “Great Peace Music” and the lion dance performed by Non-Han people on the countryside. In the eighth century it already reach Japan and was integrated into the Zen Buddhism. In China it is believed that a lion represent superiority, courage and stability what helps to cast away ghosts, evil spirits or even monsters. To boost this effect it is the traditional belief that loud noises as from firecrackers help. At the head of each lion you can find a mirror which expel negative energy and bad spirits. The bad spirit would be frightened to watch itself in the mirror. Even today lion dance is a ritual performed to get the old ghosts from the year out and to start the new year fresh and clean. That´s why Chinese business are keen to have lion dancers coming in and clean up their spaces so they can have a successful year in their trade. It is the belief that the business which were visited by a lion will have very good luck throughout the year. Normally the lions are moving to the beat and music which comes from the drum player, the cymbals and a gong. The cymbals and the gong follow the drum. The drum player is directing the dancers and the performers. Each lion needs two persons, but if it is in a parade there will be always one person to fill in, so the other can get some rest. Besides the music and the lions you will see people with weapons or even flags who support the group. To have enough water to drink will be important too. Obviously every school has its own sound. The lion dancers will perform choreographies, every school a different one, and bring the lion to live. In the head there are tools to move mouth and ears to make it look more vivid. In the tail you will find something to move the tail. In a traditional kung fu school every student would learn all the different stations, but the head and the drum players will represent the most experienced students. Another important figure is the funny “Buddha” or uncle who wears a fan and entertains everyone. He helps the lion dancers to coordinate but also shows the crowd how to approach a lion because it is believed to be good luck to touch the head of a lion. Besides that the master can have a guan do, a large weapon, to cut of the bad spirits before the lions enter a business. What are they doing exactly? In a city with temples the lion dance would start and end at the temple where the lion pays his respects to the different deities. Then they would start they procession through the streets to bring joy and happiness to the people. At a business the group would line up outside and first start with a choreography with vows. Outside the business owner will have prepared a lettuce for the “Cai Qing”, the picking the green ceremony. The lettuce will be on a chair or maybe hanging from the roof. The main lion or all of them will get a lettuce and then “chew” it. To do so the lion would lay down a bit and the music will start a crescendo. Then the lion will “spit” the parts all over the place, which is a symbolic blessing of the location through the lion. To get “spit” from the lion is good luck, so don't go too far away! Then the lions get into the location and vow in front of the shrine. If it´s a Buddha shrine they vow three times and if it´s a shrine with a Kuang Kung statue they would vow eight times. Out again, the dancers will bring their lions to sleep and perform some kung fu forms. My Sifu says that the beauty of the lions awakes the bad spirits and the strengths of the kung fu kicks them out and destroys them. The prize for the lion hangs in a red envelope from the roof and contains normally money. Oranges or mandarins, as a symbol of prosperity, are welcomed gifts for the lion dancer, too. At the end the lions awake again, do their choreography again and leave all together. The business is clean of bad spirits and ready to have a prosper year. If you have a Chinatown or Kung Fu schools who perform lion dance in your town, check them out at Chinese New Year, you won’t regret it. It is a nice and cultural experience. At least since the uprising of Bruce Lee and lately Brazilian Jiu Jujutsu or the popularity of MMA people are wondering about which martial arts and martial artists are authentic and which are not. Or even worst which is more effective and which one is the strongest. The authenticity question is not only coming from the lineage a martial artist represents but also how long the style already exists. In a global world where people move more often from city to city or country to country I think it is important to provide your students the support in finding new schools or teachers at their new home. Even though, this question is not just a common discussion in the martial arts tribe, I think more importantly, it also matters for people who think about starting to learn a martial art and how to choose a school and a teacher. In Traditional martial arts, which I know better, you are not just looking for a coach or teacher. What we call Sifu in Kung Fu or Sensei in Karate is more likely to be a mentor who guides you or offers you guidance in all the difficulties in life. So, it is kind of important to choose well. If we take me as an example: I still have my Sifu, who lives in another country. But he encouraged me to find new things to learn with the right person. This said, it is also good to say that of course, it can change from style to style and person to person. Everyone has to first think about why to enter a martial arts school and what outcome is wanted. If you just want to learn how to fight or you like to perform forms/ katas, then it might go along with the essentials. But here a list of things you should be aware of to find authentic traditional martial arts school. First, a traditional martial arts school has a lineage. If your teacher can’t tell you about his or her master than something is wrong. At Immortal Dragon, we can track back our style almost to Kwan Kung. My Sifu has a graphic lineage where he can trace back to our Grandmaster Ark Yuey Wong, from there you can dig deeper and trace his masters, and so on. Nowadays it can get complicated since a lot of documents were destroyed by the Chinese during the Cultural Revolution, but still kung fu can be traced back to several lineages and masters. Same actually with Karate where it should be easier to find a lineage which starts from a Grandmaster from the Island of Okinawa. Second, when you get into the school and see the master sitting, and even if it’s a bit superficial, with a big belly, you don’t want to train there. Keep it like this: if a martial arts teacher can’t do the same class better then you and with more power you should think about changing. Third, check out the other students. How disciplined are they? Is someone using cursed language or even bullying other students? That are things you don’t want to see in a martial arts school. You want to find a place where students support each other and cheer when someone surpass oneself. All this said, I want to close this article with a more optimistic view. Most of martial artist are legit and want to help and train their students properly. Even though, some think more about money then the development of their students. At the end you have to feel comfortable with the person you train with. Can I learn Kung Fu online? There is a lot of folk out there trying to sell online courses for certain martial arts. On YouTube you can even find videos where you are supposed to learn forms. Beside that, there are also tons of books and ebooks which even round up a whole style system. The question many people asked themselves and me is: How effective can it be to learn martial arts through videos or a book? I am not the first one to answer that, but I hope I can give it another point of view with a specific kung fu focus. Well the answer is pretty simple: You can´t! And you shouldn´t. But let´s break the answer a bit down and more accessible. First let´s take a look at the videos. To do so we have to divide the ocean of videos and online-courses you can find. One is teachers showing how to exercise certain movements or stretching. That is different to intend teaching martial arts online. Of course it is possible to do a fitness online course or even maybe a yoga- exercise. Everything where you can´t make much wrong doing it on your own is good. Getting some new stretchings through videos is a good idea, if you don´t know them. But if you are not experienced in a style or system or worst not exercising at all, it can actually be dangerous to do so. My Sifu always told us that a martial art can´t be learned without a classical student-teacher-connection. The other question is also why would you? In traditional martial arts the relationship between a master and his student is more profound than just demanding to do this or that movement. A Sifu, Sensei or however you want to call it, is someone you can call for whatever reason. My Sifu helped me in situation I didn't expect from him. Every once in awhile he would sit down with you and talk about your life and spick the conversations with helpful advices. An online video can´t give that to you. Some people just want to defend themselves and don't care about their spiritual development. This is totally valid. So let's say you learn a fancy move from a video like a lock or throw. How do you know that you do it right? And how often would you need to repeat it to make your body knowing what to do in a dangerous situation? A teacher, at least a good one, would make you repeating important movements again and again, until your body will do this as a reflex. That moment is when you really can defend yourself with martial arts. You won´t be able to do so, if you did the technique just a few times or imitated it from a video. Same for kicks, punches and blocks. Of course you could learn general things about this sort of techniques but application is one of the most important parts you need to learn for a proper understanding. I have no idea how often I trained a simple front kick. You are never done to improve. At the beginning you need someone to correct your stance, the power you use, the flow, the intention, the technique, your guard, and so much more. You get my point. Worst case scenario here is to think you learned something in that videos and trying it outside. Don´t! Learning forms or katas online is a growing market, especially when it comes to Kung Fu and Tai Chi. A lot of movements in forms are very subtile and have a specific meaning and application. Every form will require a specific preparation a master would provide you in a class. Of course it's possible to learn a choreography through videos but not a Kung Fu form. The difference will be visible, because here again you need someone to show you the correct movements, rhythm, stances, and so on. All that said, we have to have to things or situations in mind: first people who are living remote and want to learn a certain style. And second, martial artists with experience. If you live in a small village with no martial arts school around or not the style you want to learn. Well then you might have to try it online. But at least pay a teacher regularly to skype or talk with him and get corrections. Try to meet at least once every month or so. People who have experience in martial arts might be more able to learn movements from a video but I still doubt, and I know a lot of them doubt it too, that the learning effect is very big. Maybe some techniques can be learned, but a whole style is not possible. Won´t be! Never, without contact to a master of that particular style. Finally, that doesn't mean you shouldn't watch this videos. Most of them are fun and you can learn a lot about the theoretical part of martial arts. You can observe which styles does an emphasis on what kind of stances, techniques and so on. As a martial artist it is good to open your mind to other styles and enjoy watching people who know what they are doing. Personally, I admire all the people who are trying to promote traditional martial arts in this times. So support them! Traditional Chinese martial arts for vancouver and the lower mainland.